FOAM3+ FACE FOAM1: High-wicking face contact fabric transports sweat off your skin quickly to keep a fresh, dry junction between your face and the goggle. Antimicrobial properties keep this thin layer of hyper-wicking fabric fresh while it constantly transports moisture into Stage 2. 2: Medical-grade foam absorption properties help make KLIM’s Stage 2 foam the most potent sweat dispersing foam structure available. Its superior encapsulating functionality can hold more moisture, allowing it to evaporate quicker and more completely than any other foam. Stage 2 also incorporates high-quality antimicrobial properties to reduce funk and eliminate foam failure due to microbial attacks. 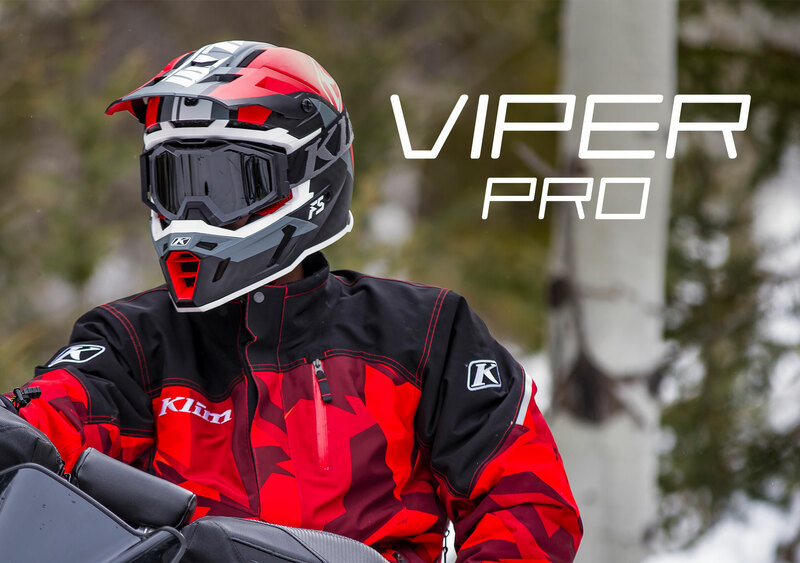 3: Strong Barrier Foam adheres to the VIPER frame and provides the foundation for the FOAM3 System. Its higher-density structure is perfect for holding tight to the frame and provides awesome durability and adhesion. The Barrier Foam also provides cold-air-blocking around the perimeter of the goggle that kills wind chill and that frozen forehead sensation that open foams can let through. EXTRAS: Included with all VIPER GOGGLE models is a two-chamber/dual-fabric cleaning cloth which doubles as a pouch for the goggle.